Flaunt Your Haunt - Sheffield! Sheffield is great. Just plan great. Ever since moving to Sheffield in November 2012, i've been to loads of places i love but there are still places i haven't yet been or experienced. So, i thought i would tell you a little bit about some of my favourite places and reveal my current favourite place which you would have to try hard to replace! 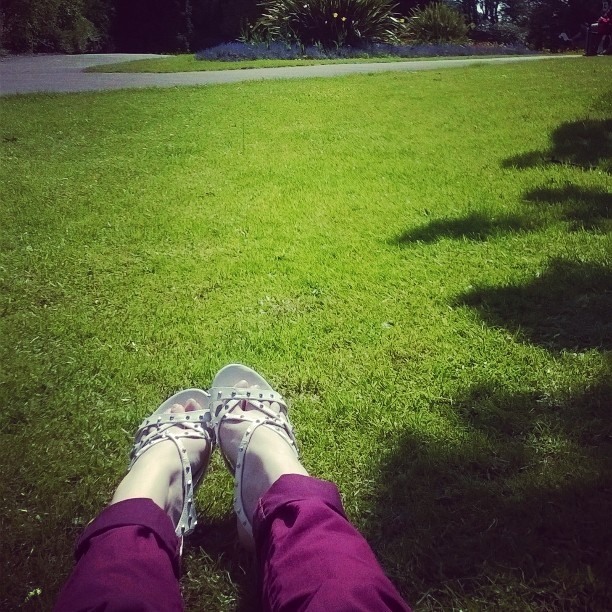 The Peace Gardens are perfect for chilling out around in the summer. There's grass to relax on, a fountain, open space and just a 30 second walk are café's and restaurants such as Café Nero, Smoke BBQ Restaurant and Cosmos! The Peace Gardens are in the City Centre so the shops are less than 5 minutes away and it's often has events on. Perfect in summer and super Christmas-y in Winter. 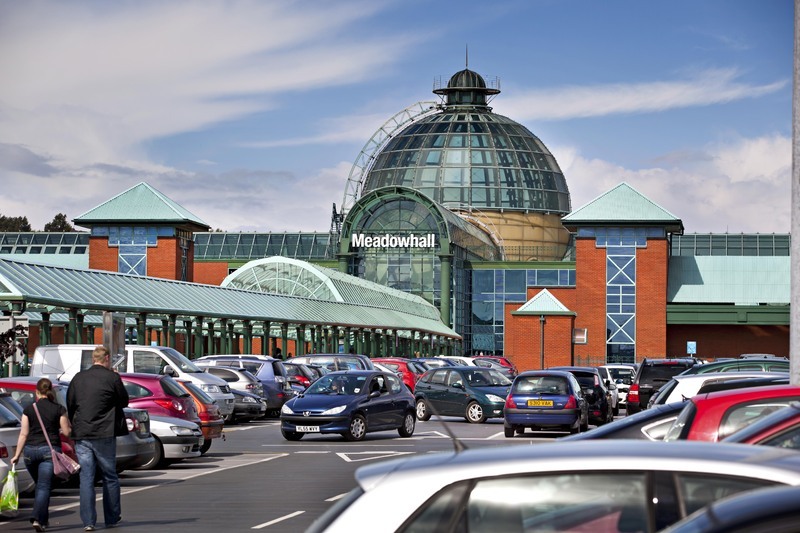 People come from far and wide to shop at Meadowhall and it has everything you could ever want so it's a personal favourite for Christmas and Birthday gifts. There's all the shops you love such as New Look and Boots as well as hairdressers for your tresses. There's some vintage shops down in The Lanes selling all sorts of unique gifts and next to that you have the food court full of restaurants as well as booths selling food such as pizza, chinese food and fish and chips. There's something for everyone! 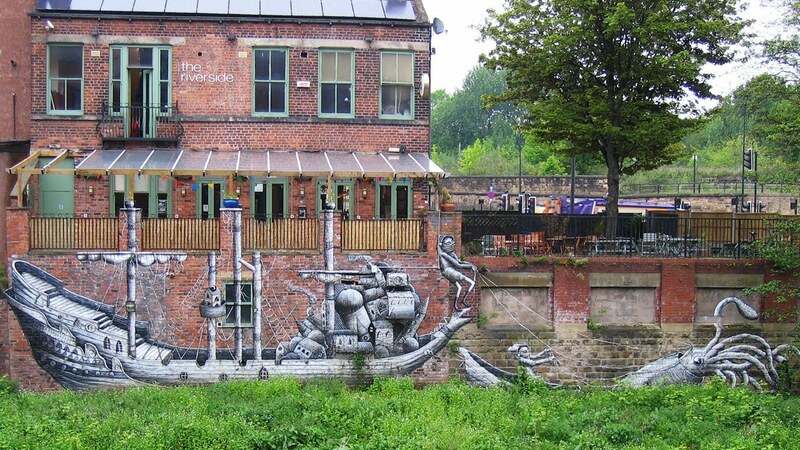 The Riverside is a great pub and restaurant in Kelham Island. It has indoor seating if it's a little chilly, a covered outside seating area and an amazing pub garden. There's so much room! 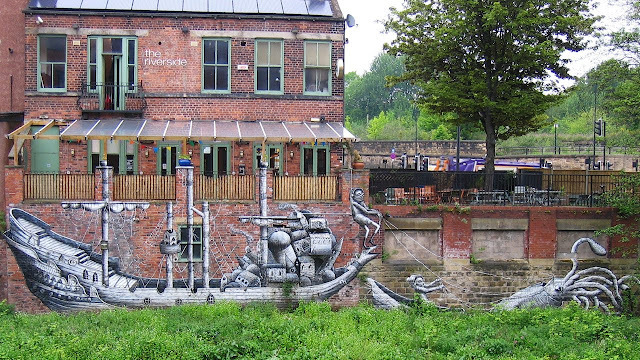 It's on the river, hence the name, and it has this amazing art work on the side. It sells some great ales and cider and it never seems too crowded or busy. 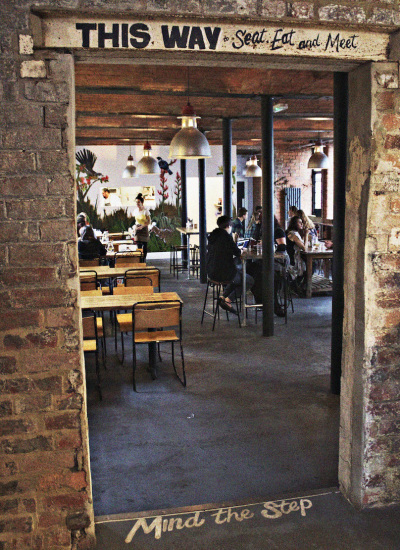 In the colder months you can snuggle inside and have a burger from the fantastic burger menu and in the summer you can sun yourself outside - the benches are comfy too. There's something great about sitting in this beer garden while the night gets darker. Sheffield has 2 Tamper Coffee's that i know of. There's a smaller coffee shop just off West Street and a larger coffee shop and restaurant near Hallam University. The smaller coffee shop is where me and Owain used to go when we first met for a coffee and a chat and it just brings back loads of good memories. The larger Tamper, is amazing. It's a very cosy and unique coffee shop and the food you can order is beautiful. I personally recommend the breakfast. I've had a full english breakfast and my god it's special. I've tried the pancakes and yes, i love them equally and just everything looks amazing. I could honestly eat and drink here everyday but y'know, i'd run out of money eventually! If you haven't been here... go. So there you have it, some of my favourite places in Sheffield. 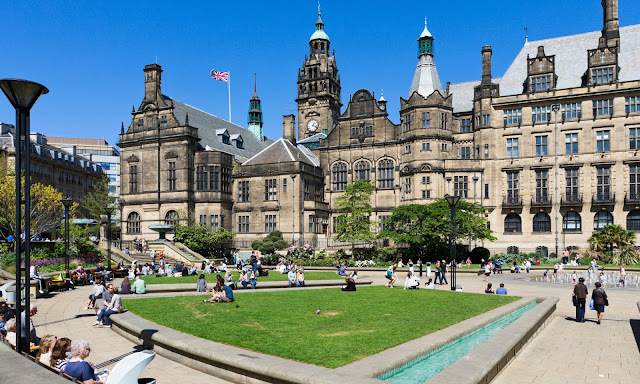 If you want to come and experience the magic that is Sheffield, go get a hotel from Travelodge here and explore the city! Get on twitter and Flaunt your Haunt with the hashtag #flauntyahaunt and tell the world why you love your home!